The most important story in the world is the story you tell yourself! Before a visit or an ask, take time to shape that story! My story is: They are not really being ‘asked’ by everyone in town; they’re being invited to every gala in town. My story is: The reason they haven’t given $1M is that no one’s ever ASKED. My story is: They’re NOT tired of giving money. They’re FRUSTRATED at not having a big enough impact. My story is: They’re LOOKING for meaning, purpose, and a way to have a bigger IMPACT. My story is: They’re WAITING for us to ASK! I’ve been taking some time off from writing/posting these past two weeks. The Fellers family welcomed our fourth(!) child, baby Kathryn (“Kit”) last week. I’ll be working my way back into posting Daily Nuggets, but I wanted to share this nugget from Jim Rohn. Rohn is one of the ‘success author’ pioneers. He’s credited with inspiring Brian Tracy, Tony Robbins, Jack Canfield, and many others. Somehow, it became a ritual for me to rock new babies and reread all of Jim Rohn’s stuff. I find it inspirational, directional and centering. Rohn’s concept of ‘success’ is not limited to financial, or corporate. He focuses on success in terms of fulfillment and family. 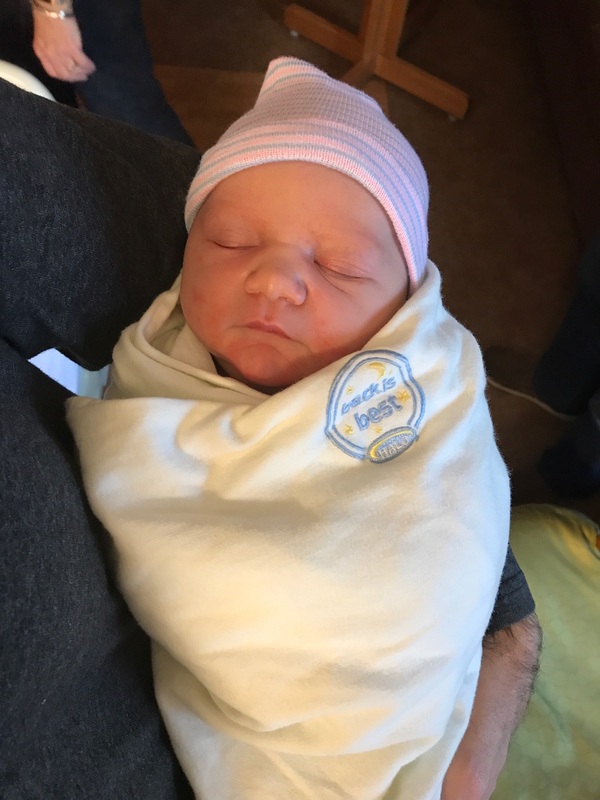 For this fourth-time new dad, I always connect with Rohn’s passages on parenting, in particular. Leadership is the great challenge of today [Jim Rohn writes… in the 1970’s], in all fields: science, politics, industry, education, sales. And leadership will continue to be among our greatest challenges in the future. But I want to begin by recognizing one of the most challenging roles in leadership—parenting. Yes, one of the greatest challenges of leadership is parenting. Unless we take our children by the hand and strengthen the family foundation, the nation is shaky. Parenting is where it all begins. My father had a simple little rule. He said, “Son, if you get in trouble in school, when you get home, it’s double trouble.” Does that method sound familiar? Double trouble at home if you get in trouble at school. A lot of parents are hoping someone else will exercise the leadership role—teachers or the church or the school or the community—somebody will take up the task of being the example of leadership. But this is a challenge for parents to take up themselves, to become leaders. So now, here’s what leadership is: The challenge to be something more than mediocre. It was said of Abraham Lincoln that when his mother died he was at her bedside, and her last words to him were: “Be somebody, Abe.” And if that story’s true, he must have taken it to heart. Be somebody. That’s a good challenge. Be somebody. Be somebody wise. Be somebody strong. Strength is attractive. Be somebody kind. All of the attributes of leadership are a unique challenge. Leadership is the challenge to step up to a new level, a new dimension. Here’s what this new dimension has: opportunity and responsibility. But who wouldn’t want the responsibility along with the opportunity if it builds an extraordinary life? You wouldn’t want it any other way. There’s a whole new level of leadership, a new method. Here’s what it is called: Leadership by invitation. Not leadership by threat. Not leadership by aggravation. Not leadership by intimidation—that shows the weakness of the leader or shows ego at work instead of skills. Leadership by invitation. Invite somebody to a better way of doing things. Here’s what else it’s called: Leadership by inspiration. Inspire somebody to make the necessary changes to move up or to get the job done. As leaders, we inspire. As leaders, we entice. As leaders, we invite. Invite, entice, inspire, but not threaten. Rohn, Jim. The Jim Rohn Guides Complete Set (Kindle Locations 538-558). SUCCESS Partners. Kindle Edition. Ichak Adizes created the working theory and framework for organizational lifecycles. Many ‘gurus’ have duplicated, or built upon, his lifecycle framework. Here is a nugget nestled in the introduction of the latest edition of his work. It’s a specific insight about the importance of INTEGRATION as a key factor in predicting organizational growth. Most leaders might grow organizations a few times in their careers. We’ve worked to transform hundreds of organizations… and scaled just as many ‘funding efforts’… built and developed teams… to help raise over $2Billion. To us, this little nugget is HUGE and not to be missed!!!! Adizes observes that large organizations are often working on ‘integration’ of teams, functions, systems. But his wording is insightful: integration is the ‘factor that precedes… in predicting’ where organizations are going. We use this insight in our coaching. Let’s suppose we’re helping you START an effort to build more individual giving. The trick is to balance ‘entrepreneurship’ (i.e., moving fast / doing things) and integration. In practice, this might mean that we prototype an effort inside of a large enterprise. Then, after there is some funding success, we’ll focus FIRST on how to integrate that function with other elements of the enterprise. That integration (buy-in, alignment, role clarity… the ‘culture stuff’) is predictive of the organization’s ability to successfully scale the funding model in an enterprise. To increase sales, spend more time selling. The title of this post is supposed to be reductively simple: To increase sales, spend more time selling. This morning I’m reading through old HBR articles on ‘selling.’ We do this to find the research, studies, and science, and then use that information to back our approach and/or innovate. Here’s a little ‘finding’ from a 2006 article: The New Science of Sales Force Productivity. Another question that leading sales organizations ask themselves is, Are the field reps spending as much time as possible selling? When we measure salespeople’s “non-customer-facing time,” we find that it often amounts to more than half of their total hours. If sales executives uncover that kind of problem, they have a variety of tools at their disposal. They may be able to channel some of the reps’ administrative functions to support staff… They also may simplify the systems that the reps are expected to deal with. Several years ago, sales executives at Cisco set a goal of reducing reps’ nonselling time by a few hours a week and charged the IT department with making it happen. The improvement led to several hundred million dollars in additional revenue. In addition, we often see front-line salespeople being tasked with other functions – like running events. Or, in health care, the ‘fundraising executives’ are often asked to be at every health care system executive meeting (often this takes the BEST sales person offline for 40% of the month!). Our advice is not ‘innovative.’ It’s simple: Free up more time for your SALES PEOPLE to FOCUS on SELLING. Andy Grove was the co-founder of Intel. More than an ‘executive,’ Mr. Grove was a teacher. He taught people how to think. He taught an industry how to think! At For Impact | The Suddes Group we harness the power of these words when it comes to visiting with prospects. You can only do so much planning… so much research. On the whole, the ‘social sector’ is paralyzed by prospect planning. Sometimes we need to ENGAGE AND THEN PLAN. Vision is simply a clear picture of the future toward which you are striving. Most organizations benefit from having a long-term vision, and a near-term vision. Your long-term vision is often time-independent. Example: Ending Cancer. Vision, in this sense, is more like a ‘higher cause worth pursuing.’ We call it vision, but we can’t always see exactly how to get there. In these instances, we benefit from a near-term vision that will maximize the contribution and engagement of others. This is usually time-dependent and tied to an achievable goal. This 3-minute video illustrates the context and role of the Engagement Tool. Most organizations do not have true sales tools that can be used to engage with a prospect 1:1 and make an ask. They have other things… like a marketing brochure, pitch deck, or case-for-support. A great engagement tool follows the WORK to get CLARITY around WHAT you’re doing and WHY. Role and Context for The Engagement Tool from For Impact / The Suddes Group on Vimeo. Download Sample Engagement Tool. Here is another Sample Engagement Tool: It’s about zombies. See more on Engagement Tools. Today’s nugget is an excerpt from Team of Teams: New Rules of Engagement for a Complex World (p. 127-128) by General Stanley McChrystal. Reflect on this excerpt and think about the implications for your team(s). On a large, late, or urgent project, the tendency is to add more people. We must first put extra resources into clear planning and then be prepared to commit resources (e.g., time and communication) to building/managing the exponential links a ‘team’ requires. We spend a lot of time studying, practicing, and teaching the art and science of human engagement. It’s essential to communicating, selling, and leading. We define engagement as: a dynamic which holds attention, heightens interest, and motivates action. Think about a meeting where you were engaged, and then think about a meeting where you were checked out. In the first instance, the circumstances captured your attention, created interest, and generated more action. A person’s attention span starts to dissipate after ten minutes — unless you do something to change the form of engagement. But what about when you’re leading a meeting? Or giving a speech? All you need to do is shift the form of (brain) engagement every ten minutes. If you’re sharing a lot of information, stop and tell a brief story to weave it all together. This activates the emotive part of the brain. Or, stop and give your audience a chance to process information with a partner. There are many ways to reset attention spans every ten minutes. When you do this, the engagement holds, learning increases, and people take more action. Every few years there is a new fad in fundraising. For the past 2+ years (at least), it’s been crowdfunding (think: Kickstarter campaigns). When Livestrong sold the yellow bracelets, it became fashionable for every cause to have a rubber bracelet. I’m often asked about the ice bucket challenge, specifically. That’s a phenomenon, not a (repeatable) funding model. I believe social media is a big medium for communications. It should factor into how we build relationships — but it’s a tool, not a funding solution.